For your listening pleasure: over one hour of the pirate radio station, MAC Shortwave. I recorded this broadcast on April 27, 2014 starting around 00:05 UTC, on 6,950 kHz AM. MAC Shortwave features host “Jimmy Stewart” and some excellent big band music. The first SWLing Post reader to identify this MAC Shortwave interval signal gets extra credit! This entry was posted in Music, News, Pirate Radio, Podcast, Recordings, Shortwave Radio, What's On Shortwave and tagged Big Band, Jimmy Stewart, MAC Shortwave, Nostalgia, Pirate Radio, Shortwave Pirates on April 27, 2014 by Thomas. Last month, I was interviewed by NK News regarding the possibility of using inexpensive SDR dongles as a means for citizen journalists to receive and potentially send information across the North Korean border. Of course this is possible: digital communications over radio is becoming easier and more accessible all of the time. While not yet as portable as an SDR dongle, Anonymous is developing a tool called AirChat which will allow long-distance communications via radio. AirChat borrows from Fldigi: a free application that decodes a variety of digital modes and has been used by amateur radio operators for years. Indeed, Fldigi is the same software you’ve used to decode broadcasts from VOA Radiogram and the new STF Radio. Initially the data mode software AirChat used code from ‘minimodem’ and then from ‘soundmodem’ sources but they say after suggestions from radio amateurs involved in the Amateur Radio Emergency Service (ARES), they decided to make it modular to use the Fldigi software, a broadly deployed solution for use with ham radios. 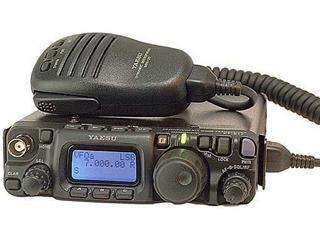 So far Yaesu FT-897D’s amateur transceivers have been used and the developers are also looking at using low-cost ($40) VHF/UHF handheld transceivers. You can read about the goals of AirChat on their Github site and follow AirChat on Twitter with the hash tags #lulzlabs and #AirChat. Airchat from #lulzlabs on Vimeo. This entry was posted in Articles, Digital Modes, Emergency Preparedness, New Products, News, Pirate Radio, Preparedness, Shortwave Radio and tagged AirChat, Anonymous, Anonymous AirChat, Anonymous Free Digital Communications, Anonymous Free Radio, LulzLabs, Southgate ARC on April 27, 2014 by Thomas. Radio Australia in NA: best times and frequencies on Saturdays? My good friend, Rob De Santos, is trying to identify the best times and frequencies to hear Radio Australia across North America on Saturdays. Can you help him? 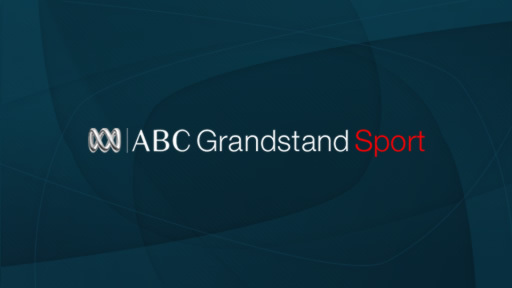 “I am updating a page on my website with shortwave info on Radio Australia’s Grandstand coverage of Australian football. Typically this occurs on Friday night / Saturday morning US time (0330 to 1230 UTC Saturday, varies). As you all know, RA does not target North America and hasn’t for some time however some of the frequencies can be heard here. I can tell you which ones I can hear in Columbus, OH but that doesn’t really give me much feel for all of the USA or Canada so I need your feedback. What is best in Vancouver, BC and Naples, FL are not likely identical and not at the same hours. Which RA frequencies are best at your location between 0330 and 1230 UTC Saturdays? Are there particular hours better than others? If you can [comment here] with the best frequencies and your QTH that would be terrific. The more geographic diversity and individual experience I can get the better advice I can give on the web page. Readers: if you can help Rob, please comment below. Many thanks in advance! This entry was posted in Broadcasters, News, Schedules and Frequencies, Shortwave Radio, Sports and tagged Radio Australia, Radio Australia Grandstand Football, Radio Australia North America, Radio Australia Shortwave, Rob De Santos on April 26, 2014 by Thomas. Pack your bags! We’re going on a trip! Shortwave listeners are interesting, creative people who do interesting, creative work: they’re scientists, veterans, corporate employees, students, retirees, volunteers, politicians, musicians, inventors, entrepreneurs, engineers, humanitarians, reporters, artists, researchers, sailors, pilots, pirates…and most seem to be travelers. But to say the least, they’re very diverse. The joy of the SWLing Post, for me, is the fascinating readers here and the great variety of questions and comments I receive from you. On this blog, I often write about selecting the “right” radio for home, boating, preparedness, off-grid living, and of course travel–but sometimes I like to go through the mental exercise of imagining a scenario a little more extreme. 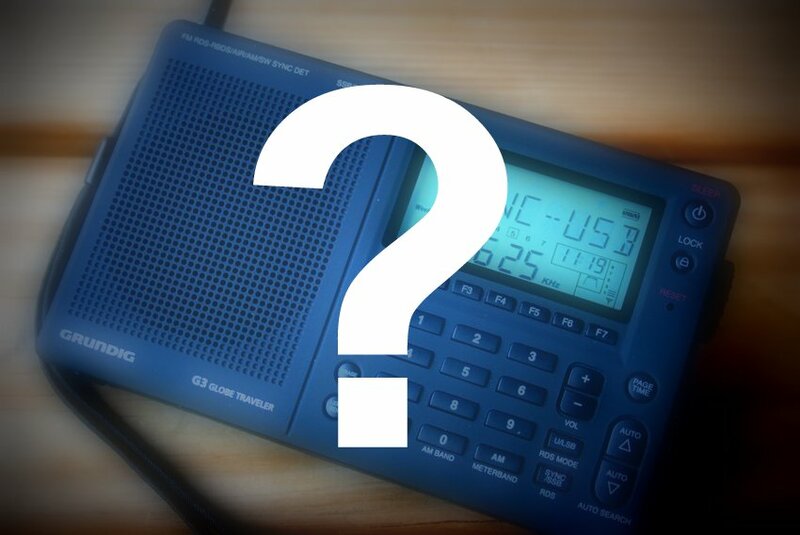 Indeed, I occasionally receive such “extreme” questions from our readers, questions that push the limits of the hobby, demanding highly specific needs in a radio. And, I readily admit, I thoroughly enjoy these questions! They give me a chance–and good excuse, really–to be imaginative and innovative, to push beyond mere practical or monetary constraints to consider unique environments, weather conditions, durability needs, power requirements, and/or resource availability…great fun. Should you agree to take it on, you’ll need to complete it within two weeks. Why the time constraint? Let’s imagine that your flight leaves May 15th, and you’ll need to make sure you’ve received, tested, and packed all of your supplies by that date. 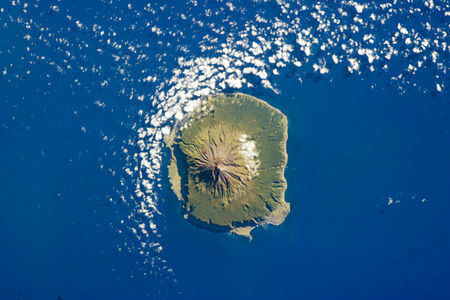 Scenario: You’re on an assignment, being sent to one of the world’s most remote inhabited islands–Tristan Da Cunha, in the South Atlantic (see this overview of the island from Wikipedia)–to undertake research for one year. You’ll fly into South Africa, where you’ll board a cargo vessel for the one-week journey to the island. 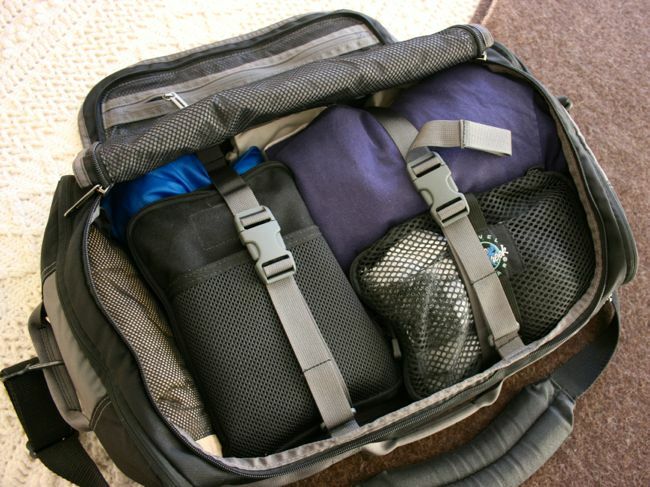 The maximum amount of luggage allowed by your airline is one carry-on and two check-in bags, both of no more than 60 kg (132 lbs), total. Once on the island, you will not leave until a ship picks you up 365 days later. You’ll be staying in a small, thick-walled stone cottage with a family and will have your own room, with a window. The family will allow you to string a wire antenna outside, but there are no trees, only heath and shrubs. Additionally, winds are strong and rainfall substantial; sunshine can be quite limited. We’ll assume you’re starting from scratch, that you have neither radio nor any accessories. You’re allowing yourself a maximum of $200 US for all of your radio gear. Your goal is to have the best shortwave listening set-up possible for your budget and for this situation. Since your radio must be packed in your luggage, you can’t afford the space nor the weight of a large tabletop radio. Obviously, the more you understand the island and its limitations, the better choices you’ll make for your gear. Your main objective is to listen to international broadcasters, and do a little DXing, of course. FM sensitivity will not be a factor (of course, I’m joking here!) Whether or not the radio has SSB mode is up to you. We’ll assume that you’re bringing a laptop computer with you. Remember, you’ll be stuck with this radio for one full year! So choose something you’ll love to operate, and don’t forget your vital accessories. Note: The limitations of this exercise are simply to level the playing field for everyone as well as to make the challenge a little tougher (and thus more fun!). Of course, they’re open to interpretation, but do try to honor the spirit of the game. Up to the challenge? You’ve got two weeks–! To participate, just comment on this post with your suggested set-up, any links, and a brief explanation for your choices. You’re also welcome to email me directly with your response. We’ll select some of the most interesting and relevant responses and post them in two weeks, on Friday, May 9, 2014. Have fun! We can’t wait to read the responses…! 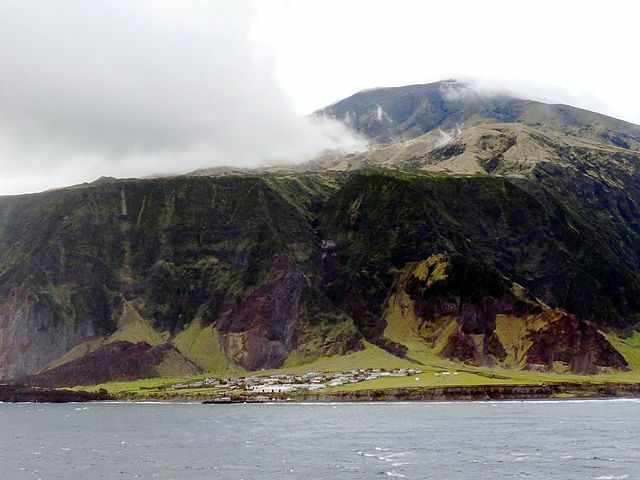 This entry was posted in News, Reader Challenges, Shortwave Radio, Travel and tagged Best Shortwave Radio for Remote Island, Island Shortwave Radio, Radio Challenge, Reader Challenges, Shortwave Challenge, Shortwave Radio, Shortwave Radio Travel, Shortwave Travel, Tristan Da Cunha on April 25, 2014 by Thomas.